In line with the National Groundwater Resource Mapping and Assessment Program of the DENR-Mines and Geosciences Bureau, a technical team from the Geosciences Division of MGB Regional Office No. 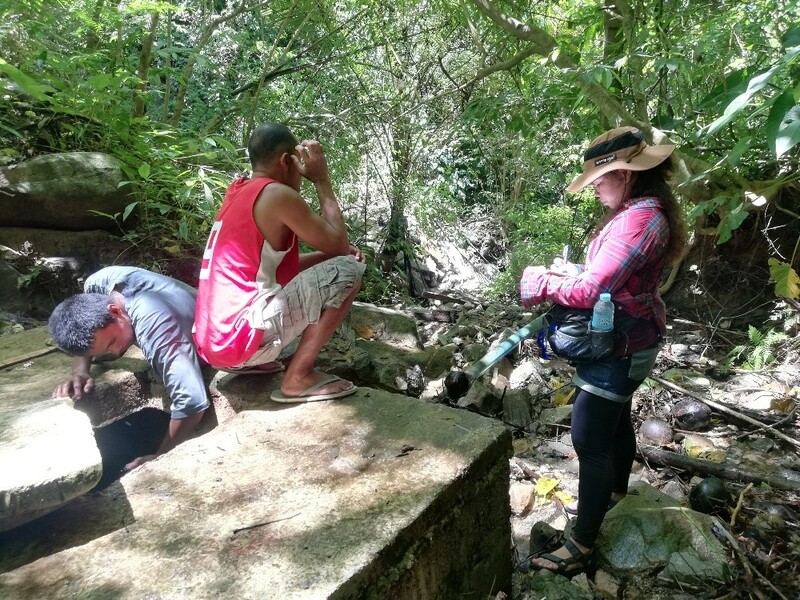 XIII carried out the 1:50,000 scale Groundwater Resource Mapping and Assessment in Malimono, Surigao del Norte from March 18 to 30, 2019. This project is the next phase after the completion of the 1:250,000 scale, province-wide Groundwater Resource Mapping and Assessment in 2018. It aims to determine the groundwater availability in relation to the local geological setting; identify potential areas for future groundwater development and/or extraction; and identify factors that may affect the water quality of the existing water supply in the target area. The said mapping activity includes field mapping such as reconnaissance geological survey and inventory of water sources (wells, springs and impounded creeks and rivers if they are used as main water sources in some areas) and on-site water sample analysis using Aqua TROLL Multiparameter Instrument which is a water quality probe equipped with sensors for measuring dissolved oxygen, conductivity, temperature, pH, Oxidation-Reduction Potential (ORP) and depth (pressure). Georesistivity survey was also conducted in some barangays of the said municipality using the Georesistivity Meter called Syscal R1 plus, a geophysical device used to obtain an image on the subsurface profile that aims to locate and identify the underlying water-bearing layer or aquifer. The outputs of this project include Groundwater Resource Assessment Report of the target municipality; 1:50,000 scale Hydrogeological Map or Groundwater Availability Map; and database on well, spring and water quality/chemistry.